Today searching for information is easy. We all got used to that. If you need to find something on a specific topic, you just type your request into the Google search and choose the right source. But what if Internet access is just not available? 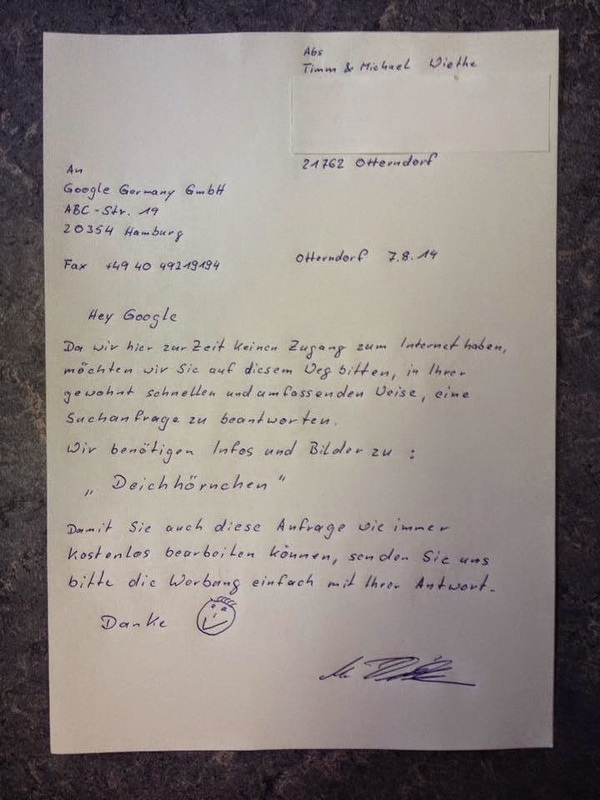 Father and son sent a request to Google in a very non-standard way. And got an answer! "Hey Google, unfortunately we have no Internet in here, but we'd like you to ask you for some information. We are interested in everything about "Deichhörnchen" - what is this creature, where does it live, what does it eat? Though you can handle the request for free as usual, you can send advertising in your answer. Thank you :)"
"Dear Tim, dear Michael, did you mean Eichhörnchen? Results for Deichhörnchen: ; SearchResult: Wikipedia: Rare related to squirrel species which became extinct because of the lack of dams. Have lots of fun in summercamp. 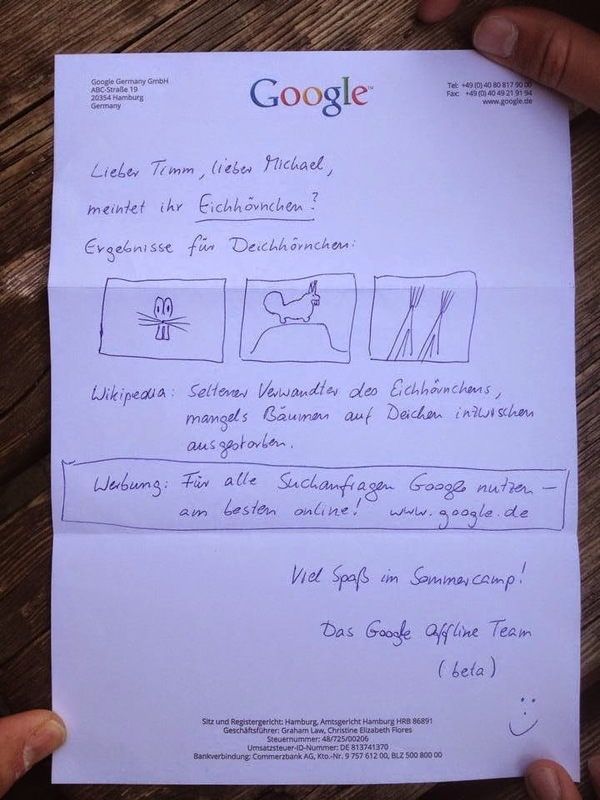 The Google Offline Team (beta) :-)"